Choose from the following Greenland Short Breaks which include tours from one to three days. All tours originate from Reykjavik and include airfare to and from Iceland. All overnight tours include accommodation and more. Click on a tour for more information. 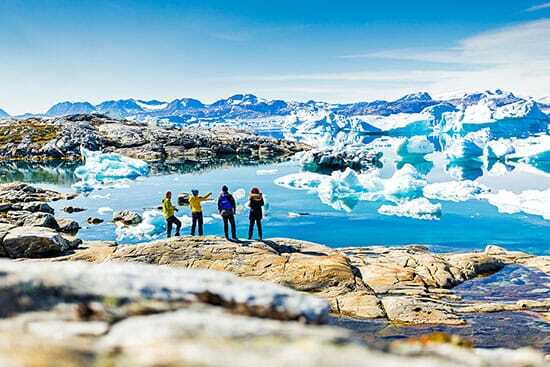 These short break tours are an excellent way to experience the majesty and magic of Greenland in a shorter period of time. Explore a charming Inuit town on a guided sightseeing tour and spend a full day on the most amazing boat excursion to an impressive glacier or through huge icebergs to the Sermilik Icefjord.